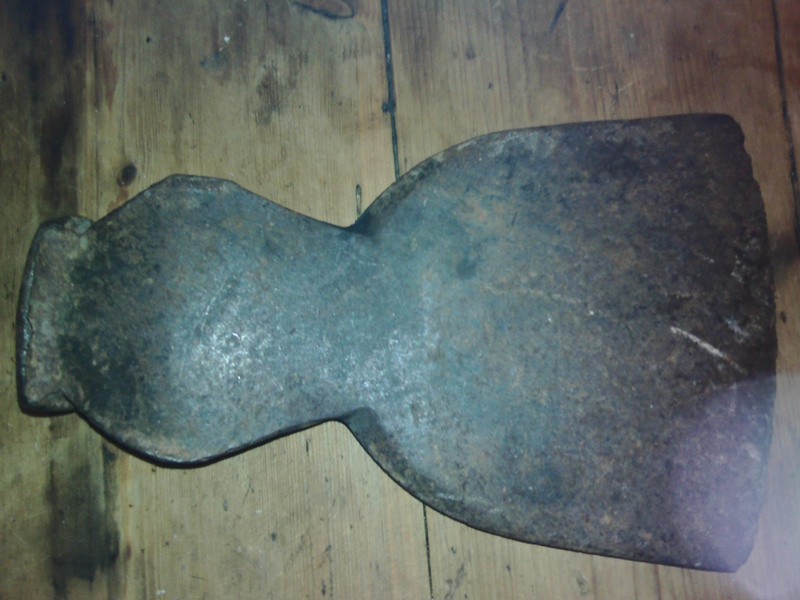 The first picture is the axe before anything was done to it, then partially cleaned and roughly marked up to make best use of the available steel. 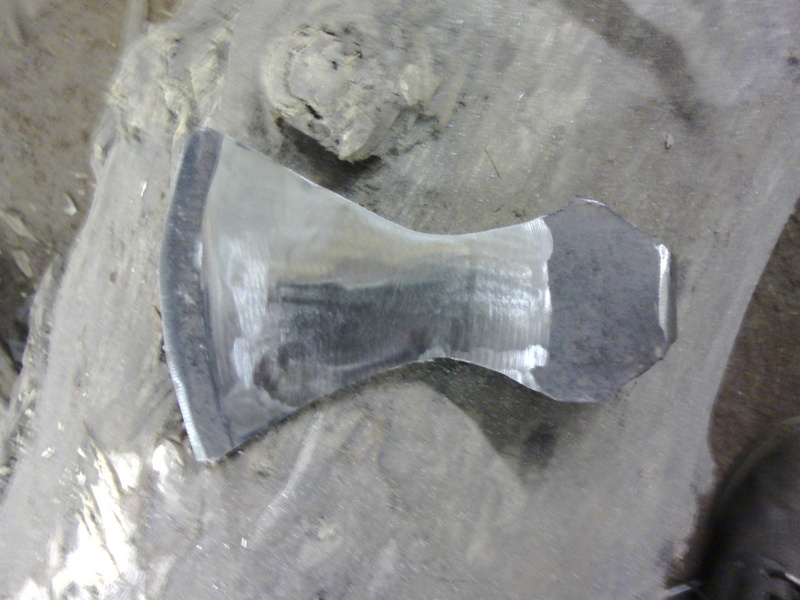 I really wanted to use an early dane-axe shape with the undercut blade, so lost quite a bit of the edge but I felt it would look best like this in the end. 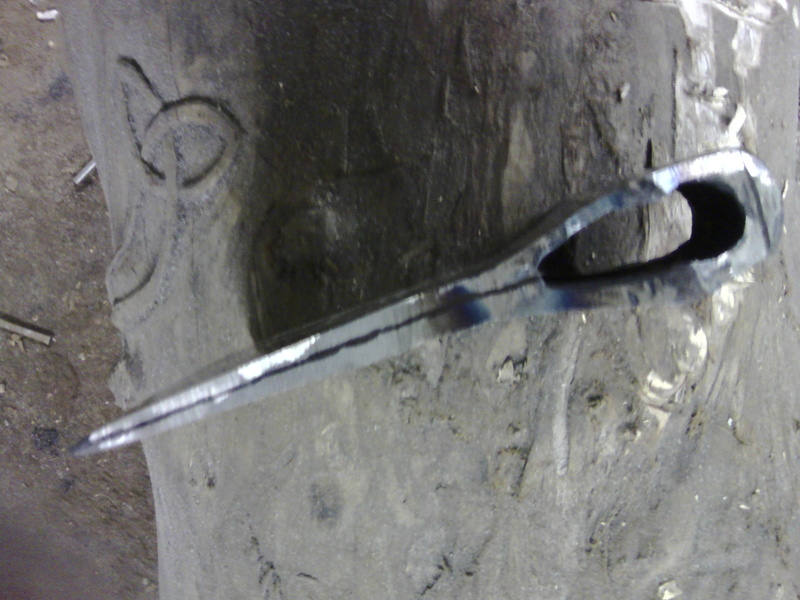 Here it is after the initial cuts to create the broad shape. 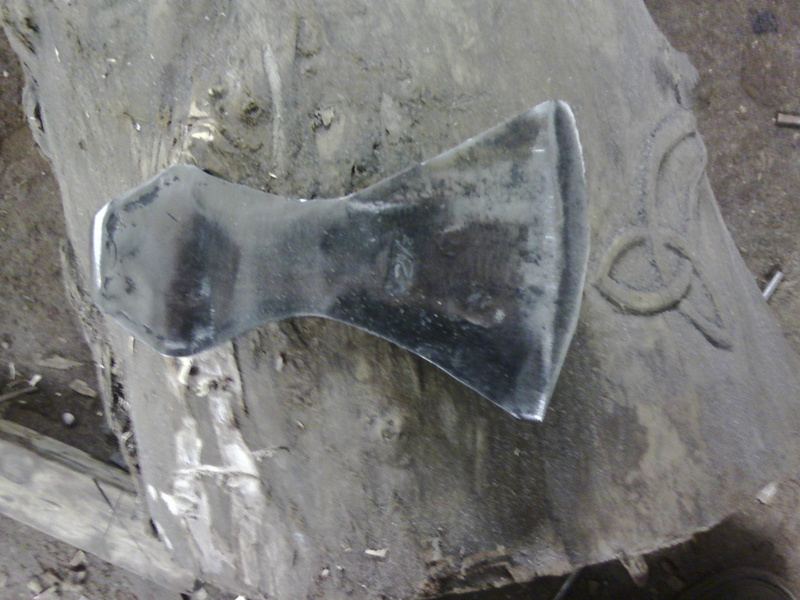 Cleaned up again, and the arches of the axe further accentuated, I started removing masses of material from the axe sides, as rather than the thick wedge it started as I wanted it to have the thin butcher style blade of a fighting axe. The blade thinning down it took much longer to grind the faces as for the sides I had just cut off the material, here I had to slowly work my way through it whilst not making too many dips and hollows. 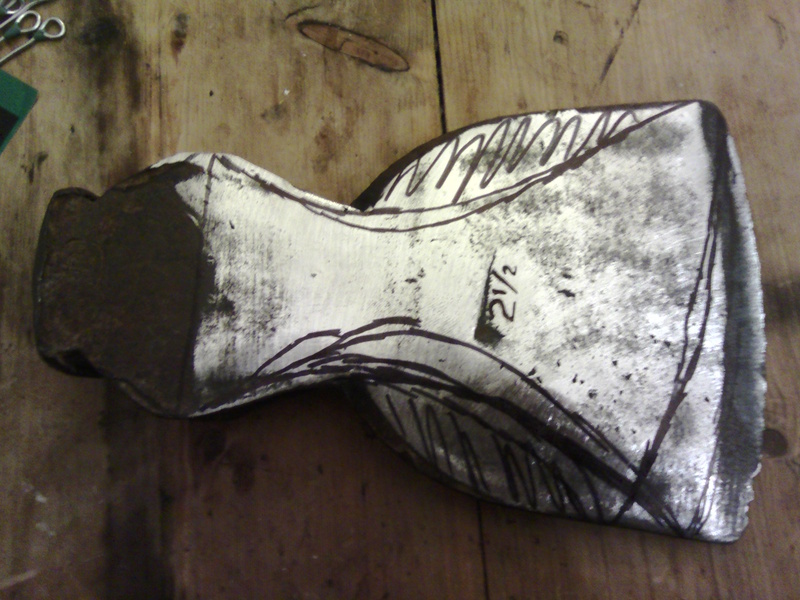 Next stage is going to be a normalising of the axehead, as its definitely getting harder to grind! 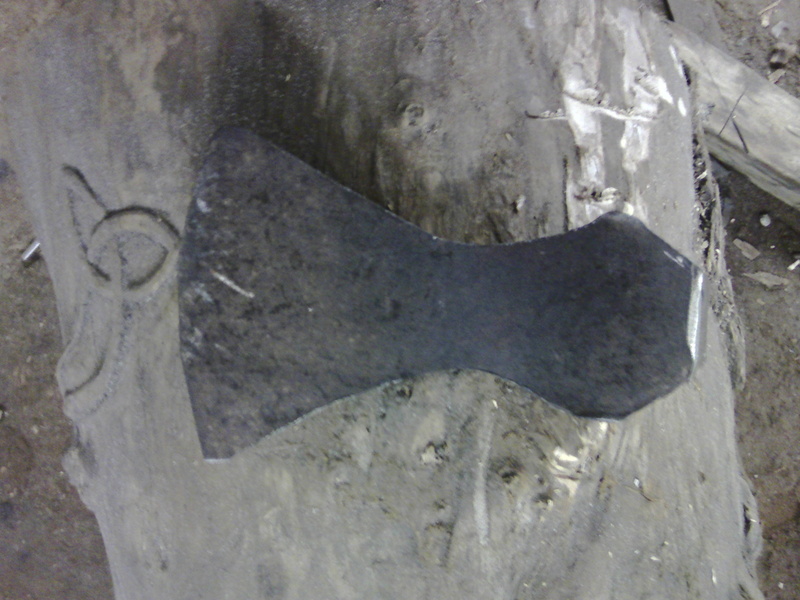 There is an obvious join on the axe where the carbon steel blade was added, so hopefully this should soften it.